It’s that time of the week when we take a quick look at what movies are hot at the UK cinema, these figures are for UK Cinema Charts October 6 2017. Blade Runner 2049 is the clear winner this week taking the number one place by some margin. 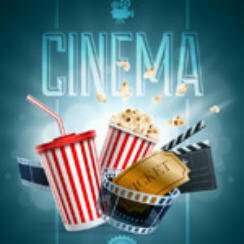 With impressive cinema taking of £6,071,625 compared to the second place film Kingsman: The Golden Circle’s £2,112,966. With Warner Bros responsible for the American release and reportedly not happy at the US box office takings as reported by the BBC, the UK and rest of the world is been handled by Sony Pictures. To take over £6 million at the UK box office is pretty good going so I doubt they will have too many complaints. Fellow new release The Mountain Between Us that stars Idris Elba & Kate Winslet enters at number four taking £777,646. Elsewhere Flatliners demise is well underway falling from number five last week to number eight this week. In fact after two weeks on release it’s still failed to reach gross to date figures of £1 million. Looking for a Blu-ray to watch at home here are a few reviews? One of the new cinema offerings this week is Blade Runner 2049, more on that on Thursday.